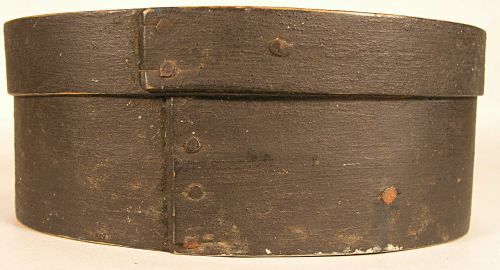 Dark Blue oval painted pantry box with straight sides. Wonderful condition with a great surface. Dimensions: Top measures 6 5/8" X 5" Bottom measures 6 3/8" X 4 7/8"